Prada's sandals were worn by style icon and The EDIT cover star Olivia Palermo in the 'Secrets of Chic' issue. 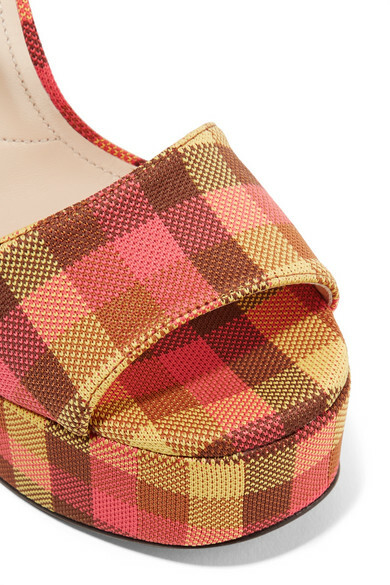 Patterned with a pink, yellow and tan check, this canvas pair is set on a towering block heel balanced by a 40mm platform. Continue a retro look with a turtleneck top and plaid skirt. Shown here with: Prada Sweater, Prada Skirt, Prada Shoulder bag.